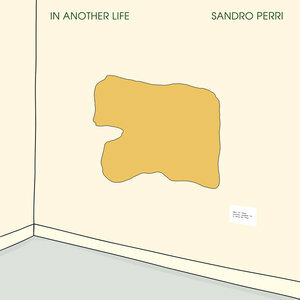 'In Another Life' Is Sandro Perri's Experiment in "Infinite Songwriting"
Chill out: Sandro Perri's latest album In Another Life is a lush, unhurried work of ambient calm. Sandro Perri is, in a certain way, the antithesis of what today's music consumer is looking for. In other words, his music demands patience, repeated listens, and total immersion. There are no tossed-off singles on his latest album, In Another Life. In fact, this is the Canadian musician/producer's first album under his own name since 2011's Impossible Spaces, so he's also an against-the-grain artist in that he takes his time releasing his music. In Another Life is what the Toronto-based Perri refers to as an experiment in "infinite songwriting", and the title track – the album's centerpiece – is a 24-minute excursion into a combination of ambient soundscapes and more traditional pop songwriting. It's rare that two ever meet, but Perri has done just that, and it's not only immersive and hypnotic, it also contains some nice hooks, sumptuous keyboard figures, heartfelt vocals, and jazzy guitar picking. The epic track, which the press materials refer to as "progressing sideways rather than forward", unfolds with hardly any build-up of intensity. In fact, you could drop the needle just about anywhere and be completely unaware of how much time has passed and how much is left. It's tempting to overanalyze the title track. Suffice it to say that it creates an atmosphere of languid calm – think of it as an indie-pop take on Brian Eno's Music for Airports – and cuts through the banality of most pop music (and an awful lot of indie rock, come to think of it). For Perri fans on a time crunch, an edit that clocks in at just under six minutes was released on Soundcloud a couple of months ago. It's important not to shortchange the album's remaining songs, or "song" as the case may be. "Everybody's Paris" is cut into three sections and makes up the album's second half. While still evoking an atmosphere of relative calm, this song cycle is spiked with moments of dissonance, as Part I begins with atonal piano plinking and disembodied children's voices. The result is something of a cracked lullaby, as Perri is singing softly and carefully over the bruised, de-tuned instrumentation, as if a sudden loud noise would cause it all to fall over. In a unique twist, the second and third parts of "Everybody's Paris" are sung by other vocalists: The Deadly Snakes' Andre Ethier on Part II and Dan Bejar of Destroyer on Part III. Ethier's version is slightly more traditional and less tweaked: congas, flute and effects-laden guitar give the song a more laid-back, almost tropical feel. When Bejar's part comes in to bring it all to a close, things are a little more minimalist and reflective. His usual deadpan vocal delivery floats over an ethereal bed of guitars and synths. With the album's second half divided in such a way, it provides Perri the opportunity to produce an interesting experiment, allowing three collaborators (himself included) to put their own stamp on the piece. They all approach it in a different manner, each playing to their vocal strengths, and Perri's musical vision meshes well with each singer. It's not as successful an experiment as the title track, but it's still a satisfying listen that is well outside traditional structures. If you have the time and the desire to fully immerse yourself in what Sandro Perri is doing here, it's a trip well worth taking. With In Another Life, he's created a world that is truly his own but is warm and welcoming enough for everyone to visit.